What is ‘The Holborn Cenotaph’? The following is draft back cover copy for a new edition of my short story ‘The Holborn Cenotaph’ that will be published to coincide with a reading at King’s College London for the Creativeworks London Festival on 29 April 2016. 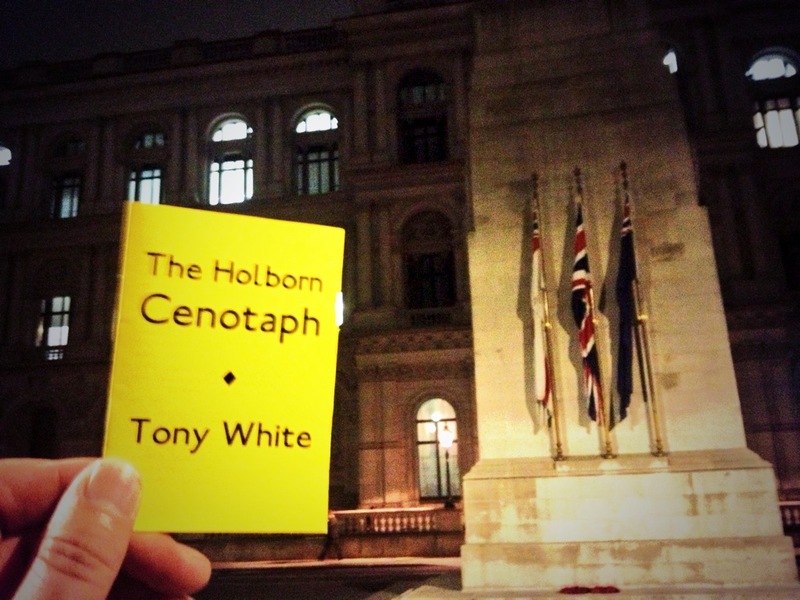 At once a satirical performance, a protest and an act of radical remembrance—a memorial built in the mind—‘The Holborn Cenotaph’ is a short story by Tony White, that was inspired by artists Stuart Brisley and Maya Balcioglu’s ‘The Cenotaph Project’ (1987-1991). ‘The Holborn Cenotaph’ was originally written for and first performed by White at ‘The Cenotaph Project & the public sphere’ in the chapel at King’s College London, an event produced in collaboration with Balcioglu, Brisley and Dr. Sanja Perovic of King’s for Underground: Arts & Humanities Festival 2014. That event and the loose collaboration with Brisley et al that preceded it were made possible by White’s residency at King’s College London, funded by Creativeworks London. Presented in the tradition of a Swiftian ‘modest proposal’, ‘The Holborn Cenotaph’ uses the language and performance of contemporary law enforcement and policy to frame a satirical proposition: that the high-rise tower of Holborn Police Station be decommissioned and converted into ‘a new Holborn Cenotaph, a 50-metre high, networked memorial’ the purpose of which is not immediately revealed. When the true nature and purpose of this digital memorial becomes apparent, the effect has been described by one audience member as ‘jaw-dropping’. 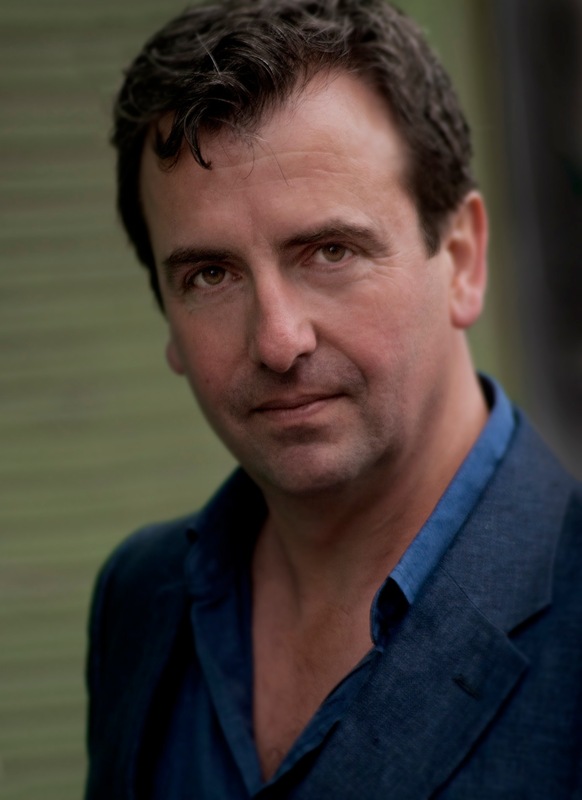 Since October 2014, White has given many readings of ‘The Holborn Cenotaph’, appearing at events and venues including London Radical Book Fair, Brixton Book Jam, Lit Crawl London 2015, The Contemporary Small Press Book Fair, London, In Yer Ear #10 and #15, The MAC in Belfast (with Brisley et al), Richard Strange’s ‘Cabaret Futura’, The Cornelius Foundation’s ART of Conversation supper club, Venice Agendas 15 at Turner Contemporary, Margate, Reading and Being Read at The British Library, and more. A pamphlet edition of the full original text was first published by Piece of Paper Press for free distribution at readings through 2014-15, but is now out of print. This new, revised and more easily updateable script edition has been developed for the Creativeworks London Festival 2016.